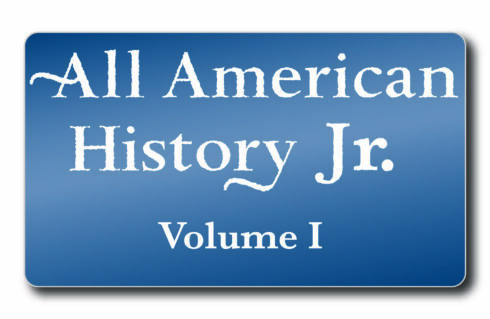 All American History teaches history through thematic units that allow students to add in additional information they’ve learned. With lessons focusing on personable aspects of history: how people lived, what they ate, what games they played, children will gain a comprehensive picture of each time period. 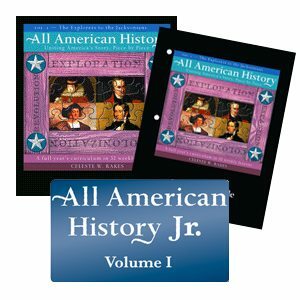 With eight lessons each, the units focus on the Age of Exploration, the period of colonization, the American revolution, and the period of establishment & expansion. Illustrations, maps, and “impact” bullet points help to emphasize important elements of history and serve as visual reminders, while each chapter examines the atmosphere in which the event occurred, the event itself, and the impact this event had on the future of America.